Whatever number you might get if you averaged the quality of the Soundtracks of the Week, this 227th one will make it higher. 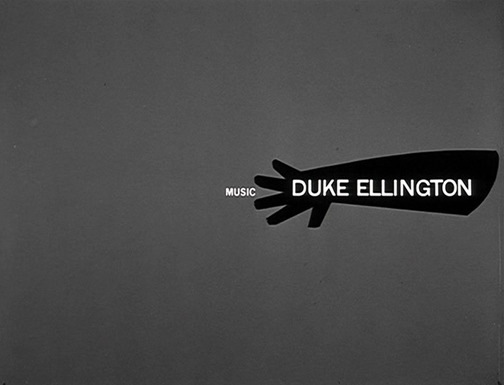 It's Duke Ellington's score for Anatomy of a Murder. His character in the movie is into jazz and plays the piano. 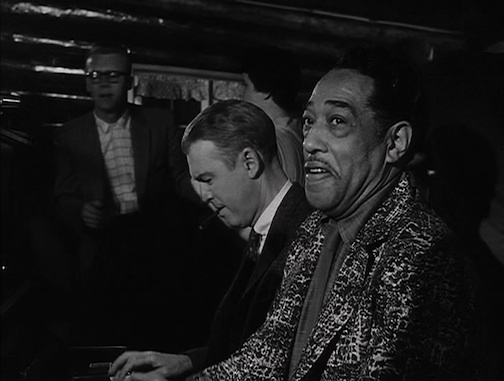 In one scene he visits a roadhouse and plays piano with Ellington himself. 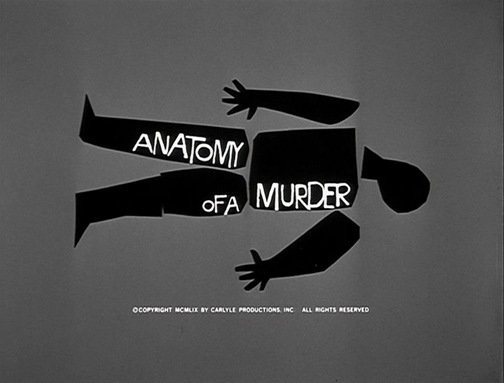 "Main Title and Anatomy of a Murder" spends the first 50 seconds or so building to a ferocious groove. No doubt director Otto Preminger wanted Ellington to top Elmer Bernstein's theme for Preminger's Man with the Golden Arm. Ellington's main title begins with music that's reminiscent of Bernstein but gives it the Ellington treatment: driving but unhurried with colorful and unexpected flourishes creating space for soloists. "Flirtibird" is an intensely seductive and sultry piece in which the inimitable Johnny Hodges shines. The first minutes of "Way Early Subtone" is a reprise of "Flirtibird" and then goes into a slinky, swaying blues section. Fast walking bass starts "Hero to Zero", which features tenor sax player Paul Gonsalves. About halfway through it gets meditative and somewhat atmospheric before picking up with some romance and tension. "Low Key Lightly" is a slow piece and a feature for Duke Ellington on piano and Ray Nance on violin. "Happy Anatomy" is a bright, uptempo piece with energetic horn arrangements and some drum fills from James Johnson, as well as trumpet and sax solos. It's not a surprise that a piece called "Midnight Indigo" is slow and quiet. It features tenor, piano and what might be glockenspiel. "Almost Cried" is a restatement of "Flirtibird". The glockenspiel (or whatever it is) returns for "Sunswept Sunday", an optimistic-sounding cue with a pastoral feel. "Grace Valse" is a relaxed 3/4 tune that features the piano and glockenspiel (or whatever). After that comes another take of "Happy Anatomy", this time by the quintet that has a scene in the movie. Things get slow and quiet with a late-night feel in "Upper and Outest". Gonsalves is featured again on that. The rest of the CD is made up of single versions, movie stings, rehearsals etc. You can hear Ellington, Preminger and some of the actors talking.